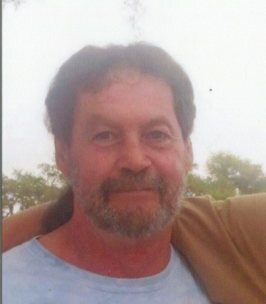 Donald R. Truman, 61 years of Hillsboro, passed away Saturday, October 27, 2018. Donald was born August 27, 1957 in Fayette County, OH, the son of the late Paul and Alta Jean (McClure) Truman. Donald served his Country in the U.S. Army and 13 years in the Ohio National Guard. Donald drove a Redi Mix truck for 20 years, the last three for the Wells Group, Hillsboro Plant. He is survived by his wife of 25 years, Emily (Clouser) Evans Truman; two sons, Jay (Cathi) Evans of Middletown, OH, and Jan Michael Truman of Greenfield, OH; four daughters, Debbie Truman of Hillsboro, Laurie (Jeff) Taylor of Greenfield, Jennifer Truman of Greenfield, Deserae Truman of Florida; two brothers, Paul Eugene Truman of New Vienna, Thomas Howard Truman of Washington C.H. ; one sister, Sharon Knisley of Lynchburg; 12 grandchildren, 17 great grandchildren, several nieces, nephews, cousins and a host of friends. Military Rites will be conducted by the Highland County Honor Guard at 5:00 P.M., Thursday, November 1, 2018 at the Thompson Funeral Home in Hillsboro. Funeral services will immediately follow with Dennis Brewer officiating. Friends may call from 3:00 P.M. until 5:00 P.M. at the Thompson Funeral Home. Family requests memorials to the American Red Cross. To send flowers to the family of Donald R. Truman, please visit our Heartfelt Sympathies Store. Military Rites by Highland County Honor Guard will start at 5:00pm. Funeral services will immediately follow. I'm so sorry for the loss of your beloved Donald. Please find comfort in the loving promise from our Heavenly Father Jehovah that we can see our loved ones again right here on earth at John 5:28,29 when He awakens them from the memorial tombs. Emily and family we are so sorry for the loss of Donald every time I would see him he always spoke we are thinking of you during this very difficult time.